If you’re interested in email marketing, you’ve probably come across plenty of advice about what to say and how to say it. 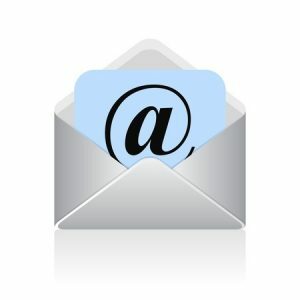 You’ve also probably been following the tips that the Subject Line for your email is the most important element you can develop, in terms of getting the attention of your target audience. But what you should really know is that the Subject Line is actually only the second most important element of your email messages. The P.S. after the signature? The formatting – HTML vs plain text? the name in the From Line. A quick example to illustrate how true that is. When browsing through the list of emails you receive every morning, you’ll certainly stop and pay attention when you see an email from someone you know, in amongst all the newsletters and other promotional material. People are time poor, so it’s no surprise that prioritising what you spend your time reading is going to include reading messages from loved ones and friends before you read that “vitally important” bit of corporate update info from a company you once bought a set of barbecue tongs from about 3 years ago. So, the From Line is the bit that most catches the eye and inspires you to read the email. OK, that’s probably proved the point. And it’s all very well suggesting people are going to open an email from people they know and trust. But how could I possibly go about getting them to recognise my name and open my emails in the same way? The key element here is the word “trust”. People will open emails from their partner, friends, family members etc because they trust that what’s included in the message will be something of value for them to read. Even if it’s just a collection of links to funny cat videos sent over by your cousin – the reason they’re sending it is they know you like this kind of content and are likely to find it as diverting as they think you will. When you’re sending out your emails, then, you want to make sure that your name inspires the same kind of trustworthiness – such that the people you send them to are happy to prioritise opening your messages, over those from other businesses, whose messages might eventually get round to reading if they can ever find the time. Your friends, family, colleagues etc have spent valuable time with you building up the relationship, such that you automatically trust their judgement in what they send on, so you know they won’t be consciously wasting your time. (Even with the funny cat videos). Which is why you need to develop the same kind of personal relationship with your email contacts – or, at least, as near to this kind of relationship as you can get via an online only relationship – to make them value your messages in the same way they view messages they receive from their friends. I’m not suggesting you need to be all matey and friendly with them, just that their reaction must be “Ah, an email from XYZ. I must open this as I always get good stuff from them”. Rather than the all too frequent reaction of “Hmm. Yet another email from XYZ. Must get round to deleting my name from their subscriber list when I get a few minutes…”. Over the next few months, I’ll put together some more thoughts on how to develop great emails that people look forward to reading, and pop them on the blog here. Or get in touch if you want to discuss how I can help with your email marketing.